Blog Tour for our Latest Book Release! 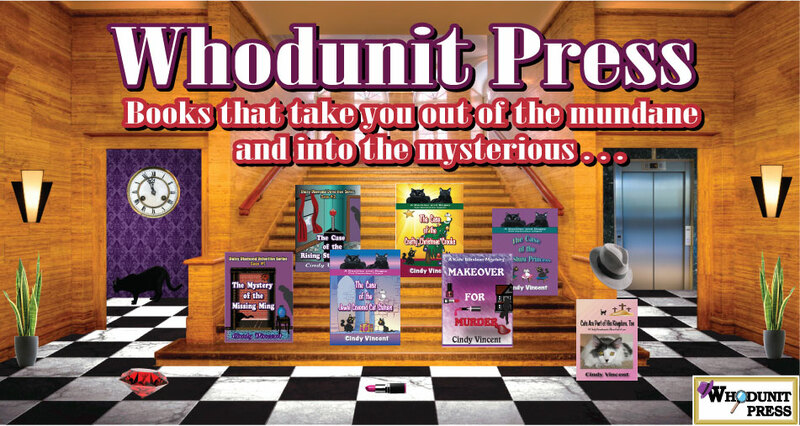 Big news from Whodunit Press! 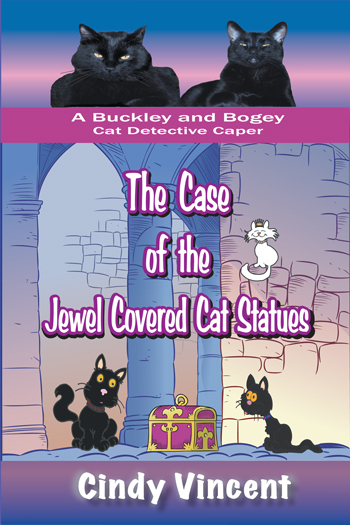 Our latest release, the third book in the Buckley and Bogey Cat Detective Series, The Case of the Jewel Covered Cat Statues, will be going on blog tour starting Monday, January 19th, until Sunday, February 8th, 2015 with Litfuse Group! The Case of the Jewel Covered Cat Statues is sort of a take on the Maltese Falcon, done Buckley and Bogey style. Complete with a mysterious package left in their Mom's antique store, as well as jeweled statues and lots of shady characters, this is the boys most complicated case EVER. Whew . . . it certainly keeps Buckley and Bogey on their paws! Especially when the whole thing turns into a treasure hunt that teaches them a lot about the history of their town, St. Gertrude. But one thing's for sure, as complicated as this case is, it sure pays to have friends who can help out. Holy Catnip! And speaking of jewels . . . we've got a few to giveaway ourselves as part of our blog tour! Here's what three lucky winners will receive when they enter the blog tour giveaway. The first winner will receive this stunning Sentiments bracelet from Premier Designs. The beads are copper, brass and silver-plated, and inscribed with the words faith, hope or love, with a sparkling crystal in the center of each. One size fits all. Perfect for day to evening wear. Not suitable for young children. The second winner will receive this fun and trendy Bella Perlina bracelet with a couple of cute sterling-plated cat charms, along with several other beads and charms as shown. More beads can be added later. One size fits all. Not suitable for young children. The third winner will receive a complete set of the Buckley and Bogey Cat Detective Capers! Starting with the first episode, The Case of the Cat Show Princes; to the second episode, The Case of the Crafty Christmas Crooks; and now the third and latest release, The Case of the Jewel Covered Cat Statues. Very suitable for young children, as well as cat lovers of any age! Holy Catnip!